This week we have a fantastic post from super-awesomely talented guest writer Kate Hopper. She’s provided us with all you could possibly want to know about spending 48 hours in the beautiful Croatian coastal city of Dubrovnik. 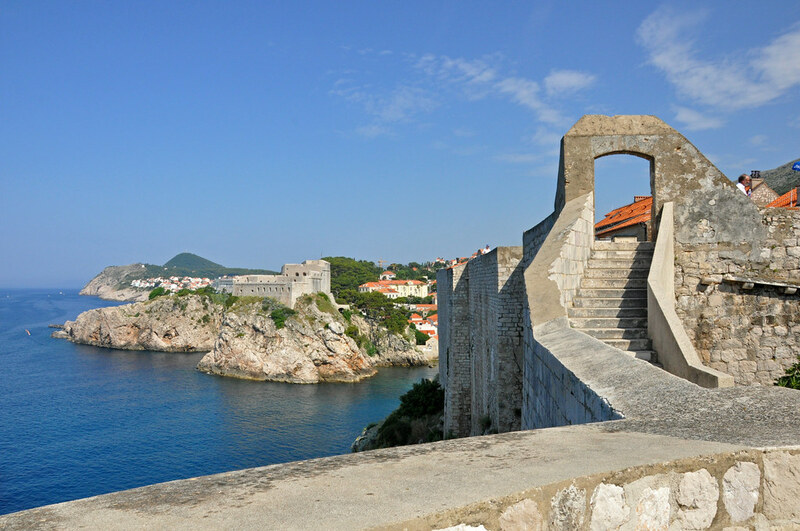 Dubrovnik must be one of the most recognisable cities in the world, famous for its city walls and marble walkways, but the city has a murky past, evidenced from the artillery splattered walls from the 7 month long ‘Siege of Dubrovnik’ in 1991. However, in the last 20 years the city has staged a remarkable renaissance and restoration to become the self named ‘Pearl of the Adriatic’. It might now be one of the most visited tourist destinations in the Mediterranean, with cruise ships spilling out their contents on a daily basis, but the crowds can be avoided, the tourist traps dodged and the daily heat dealt with making Dubrovnik a perfect 48 hour adventure. Dubrovnik consists of an Old Town surrounded by residential neighbourhoods gripping the towering hillsides and sea cliffs. The Old Town itself is a UNESCO World Heritage site, which is what most visitors to Dubrovnik are there to see. On entering Dubrovnik for the first time (either through the Pile or Ploce Gates) you will find yourself on the marble main thoroughfare – The Stradun – the heart of Dubrovnik life in the evening and a parade of sensible slacks, cameras and sun hats in the day. At one end of Stradun you will find the fashionable Luza Square, the perfect location to people watch over a coffee overshadowed by the clock tower, at the other, the more crowded square around Onofrije’s Fountain. Don’t forget to explore the tiny streets leading off Stradun – the best bars and restaurants are often hidden away. Next to the Onofrije fountain you can find one of three entrances to the city walls. Whilst not for the faint of heart or of a lemming persuasion, the City Walls of Dubrovnik are top of everyone’s must do. The walls completely circle the town, traversing for approximately 2000 metres, high above the city and the sea. The walls are a busy place and there are queues in places to get by so leave plenty of time to get round the whole city, at least 2 hours to enjoy every view and wear good shoes and take plenty of water in the height of summer. It is also important to try and time your trip before the cruise ships arrive, so try early morning; the walls open at 8am. Enter the city via the Ploce gate and you will glimpse the harbour through bullet wounded sandstone walls. The harbour might be heaven for those who like seafood, but the restaurants aren’t cheap here. Instead, have a sit on a bench and watch the boats come and go instead, it is particularly picturesque in the evening as the candles twinkle. The harbour is also your destination for day trips to the islands of Lokrum, Cavtat and further afield. The daily influx of cruise liner tourists to the old town will soon make you harken for a quiet beach or leafy wood to walk in. Most cruise tourists stop only for a day so never get the chance to jump on a small sailing boat, if you are in the city for 48 hours you certainly do. Two local trips are highly recommended – the short trip to the wildlife reserve of Lokrum, the island visible from the harbour or the longer day trip to the pretty beach village of Cavtat down the coast. Whichever you choose the views arriving in and out of Dubrovnik harbour are spectacular. Dubrovnik has a myriad of restaurants all serving similar food – excellent fresh local seafood and more limited meat. Fashionistas might flock to Gils Cuisine & Pop Lounge but search a little further and you can find restaurants and bars with good food and just as good views. Who knew Croatians could do tapas as wells as the Spanish? Probably no one until Lucin Kantun opened in 2010. Located on one of the tiny alleys (Od Sigurate) leading off The Stradun, grab a table outside (or wait on the steps until one is available) order a few (tiny) plates between you, watch your food being prepared in the open kitchen, before ending with the famous chocolate bombe soufflé cake. It’s so good people come to the restaurant just for it. Located at the top end corner of Ulica Antuninska in the Old Town, Lady Pi Pi is one of those restaurants that you have to work for. Located as high up as you can get from The Stradun, nestled up against the city walls on a vine covered terrace, you can smell the wood burning oven before you reach it. In fact the gorgeous smells will drive you up the 100 steps you need to climb to get there. Once seated (there are no reservations so turn up early and try and get a table on the upper terrace for the views of the city) the restaurant serves grilled meat and seafood in a lively bustling atmosphere. Local’s bars are few and far between in Dubrovnik (it is thought that there are now less than a 1000 real locals left within the walls) but Galerie is one of them, look for the crowds up the 7th alley off The Stradun, grab a cushion, grab a step and grab a cocktail. The two Buza Bars are famous the world over and will be remembered by anyone who has visited them. The aren’t easy to find, but they are both located on the west side of the city, outside of the city walls. Mala Buza is the formal one with table service, whilst Cafe Buza is more informal, evidenced by the fact there are no guard rails to stop you from dropping into the sea! To find Café Buza walk around the base of the west wall until you find a sign saying “cold drinks, beautiful view”. Trust me it is worth the search, I have seen battles for the last seats to watch the sunset. Dubrovnik is high on many tourists list of places to see before you die so flights are plentiful and cheap. Jet2 fly from 4 UK locations (Belfast, Manchester, Leeds and Edinburgh) and flights take about 3 hours. British Airways, easyJet and Thomson also fly from London. Here’s a handy map laying out all the sights mentioned above to give you an idea of where things are in Dubrovnik. Dubrovnik is tiny and traffic is not allowed inside the city so walking is your main form of transport unless you take a boat trip. Most of the city is marble, so be careful with footwear, it can get very slippery. There are frequent buses to other areas of the coast from the Ploce gate and to and from the airport. You can also work out how many cruise visitors will be in Dubrovnik each day (and the time of their arrival) via the port authority website. Click on Dolasci/Odlasci and then check the month of your visit. Very handy to avoid the crowds. Hostels in Dubrovnik are few and far between, particularly in the Old Town where space is at a premium. The only hostel within the walls is the lively Fresh Sheets, born out of a backpacker bar. Other accommodation can be found via quirky B&Bs and holiday flats, try Hostel Marker or look for self catering accommodation just outside the city walls for better value and fantastic views. As a city that caters to boat loads of cruise tourists every day, Dubrovnik is not cheap like the rest of Croatia is, but bargains away from the main tourist areas can be found. A main course meal in Lady Pipi for example will cost about 70KN (£8) or you can grab food on the street (it is about 40KN (£4) for pizza from a wood burning oven). Dubrovnik currency is the Croatian Kuna (10 kuna – 1.16 sterling) but many places, especially the hostels also take Euros. Dubrovnik might have suffered from a civil war in the 1990s and the more recent growth of cruise tourism but it is one of the wonder’s of Europe and a must visit. Just 3 hours away from the UK and small enough to explore in a weekend, with fantastic food and great views to admire over a cocktail, it is one place I could actually spend a week in (and I have!). Have you been to Dubrovnik? What did you love the most about it? Kate is a 30 something with eternally itchy feet. She has made Edinburgh her base for her travels for the last 15 years, falling in love with the City as a student. She works now full time, studies part time and saves every penny so she can keep travelling as much as possible despite being afraid of flying. She blogs about her life and photographs her adventures, Edinburgh, her exploits into cooking and everything in between. Great post. 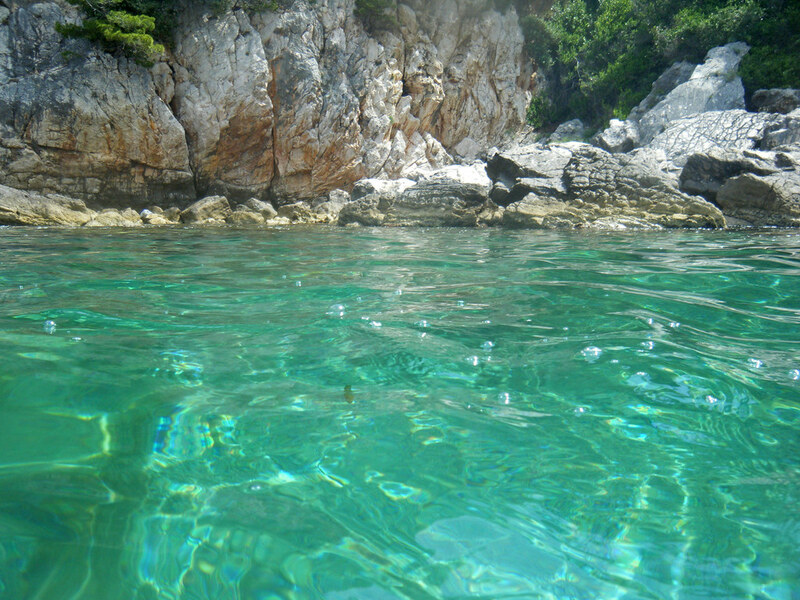 I love Croatia and Dubrovnik is one of the main reasons why. Those Buza bars have to be seen to believed! Very beautiful city. I’ll be visiting northern Croatia next year, and I especially can’t wait to see the Plitvice Lakes. very beautiful! i like the city walls, it looks like a great view there. I can’t believe I’ve not been to Croatia yet! I know Dubrovnik is a must… I’ve added a link to the Travel Bloggers Guide To Croatia I’m developing.